Heavy Sheet Metal Fabrication & Turnkey Plant Suppliers. We Are The Biggest Industrial Gears Manufacturer, For Best Deals Contact Now! Turnkey Plant Manufacturers – Simplifying All Your Engineering Needs. Ashoka Group is engaged in providing comprehensive range of Turnkey Plant Projects & Equipment Suppliers – Ashoka is a diversified company providing Turnkey Solution for Cement Plant, Steel Plant, Sugar Plant setup. We Supply Heavy Duty Industrial Gears, Process Machines, Mills and Material Handling Equipment for various industries. 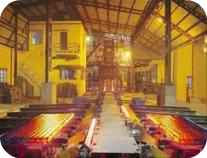 We offer Turnkey Plant Projects including Consultation, Integration, Setup and Maintenance for Cement Plant, Sugar Plant Sponge Iron Plant, Steel Re-Rolling Plants, Material Handling Equipment, Sugar Plants, Sponge Iron Plants, Steel Plants manufacturing, Harvesters Industries and various other Original Equipment Manufacturers Read More. We are leading Manufacturer and supplier of Clinker Grinding Mills for Cement Plants. 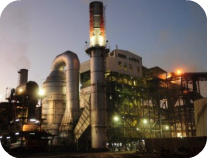 Ashoka Group supplies energy efficient grinders and grinding technologies for Cement Plant. Grinding units can also be supplied separately for other cement plants. We supply grinding units up to 2000 TPD plants, capable of handling all types of cement. We offer to our clients a versatile grinding unit whose heavy and rugged construction is built for continuous trouble free operation everyday. 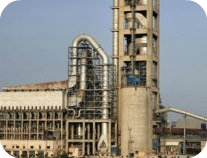 VSK Cement Plant Manufacturing from 50 TPD to 500 TPD on turn key basis and have capabilities to undertake all aspects of cement plant construction, including feasibility studies, technical advice, equipment supply, field construction, supervisory services, commissioning etc. We supply all type of high performance durable Vertical Kilns allowing temperature up to 1500º . Drive through vertical mounted gearbox, divided by high alumina fire bricks capacity of 2 – 10 ton per hour production. We design and supply Ball Mills for cement industry, expertise in heavy fabrication with largest workshops in Delhi NCR in India with all latest equipped and technologies required for Cement Plant for 50 TPD to 5000 TPD production. Ball Mill shell is fabricated from high quality tested plates. The mill consists, both side end bottoms (material steel casting) Girth gear, Mg. Steel liners bolted with heavy forged bolts &amp; nuts, manholes, feed &amp; discharge hood, torsion shaft, pinion with shaft, Pinion Bearing housing, cooling system and other machined equipment. We manufacturing high-quality Rotary kilns, A rotary kiln is a pyroprocessing device used to raise materials to a high temperature in a continuous process. All kilns are excellent heat exchangers where heat is transferred in a variety of ways. We manufacture kilns which are made with precision and detailed accuracy. They are highly durable and made with attention to each and every detail as provided by the client. We are manufacturer, supplier and exporter of all type of Sugar Plant including Open pan boiling sugar plants, Vacuum & pressure boiler boiling plants, Sugar refinery, and Turbine based power houses. We manufacture all type of Sugar Process and material handling equipment. Cane crushers are used for extraction of juice. Cane Crusher Mill can be made according to Sugar production. We Manufacture all type of 4 roller, 5 roller and 6 roller mills where 4 roller mill is a most common roller mill in India. Material: Rollers are made up of hard coarse grain cast iron shells shrunk fitted on forged alloy steel shaft with square ends. All the top rollers shall have cross type coupling end. The rollers are provided with circumferential v-grooving (radial grooving) for effective and continuous crushing action. We are the leading Material Handling Equipment Manufacturer of all type of Material Handling Equipment for Cement Plant, Sugar Plant, Sponge Iron Plants and Steel Re-Rolling Mill. We Manufacture and Supply Material Handling Conveying System and Feeding Systems on turnkey basis for all heavy industry. We Manufacture all standard customized material handling equipment for specific industry in specific condition of plant till supply, erection and commissioning of the same. majorly Two types Material Handling Equipment used in all industry. Belt Conveyors and Bucket Elevators are used in heavy industrial material handling. Belt Conveyors are developed to handle a variety of materials like cement, limestone, clay, wood waste, rice straw and many others. Available in different capacities of up to 300 tons / per hour & Bucket Elevators are fully automated with safety switches and instruments that support their applications of height upto 75 mtr. Available as bucket chain type elevator and belt type bucket elevator (nylon & steel chord) elevators, these are highly suitable for conveying materials like cement, iron ore, bauxite, wheat straw, fly ash and many others.These elevators are also classified on the basis of discharge options viz, centrifugal type for high speed operations, continuous type for fragile materials and positive type for minimum breakage and spillage. Copyright © 2006 to 2018 Ashoka Group all rights reserved. Site designed and developed by Sainet Technologies.